Pine has long been aware that very few of the violin solos performed on stage were written by black composers. That reflects an assumption that black people are not participating in classical music. Not true, Pine says. Over the past 15 years, she created a database of outstanding black composers at first to diversify her own repertoire. Then she hired researchers for her foundation, found more composers and made the database public for all instrumentalists and music fans to explore. But why stop with adults, Pine thought. 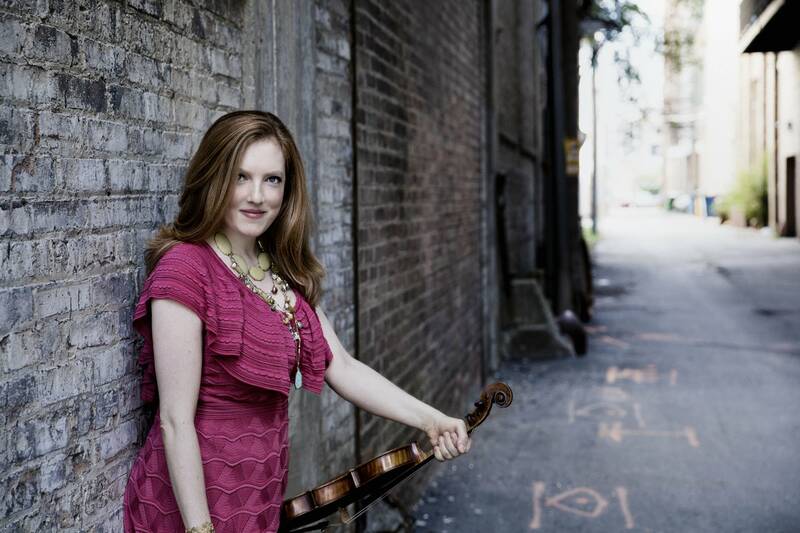 This month, the Rachel Barton Pine Foundation is publishing what is believed to be the first violin instruction book in which all of the musical pieces were written by black composers. Plans are underway for the next installment, each book getting progressively more musically difficult, and eventually expanding to other instrument series and books for ensembles. Listen to her interview with Fred Child to find out more about the inspiration for this huge undertaking. She also performs works by black composers that would qualify for Ph.D-level pieces in the Music By Black Composers series.